The revolution of Internet has changed the world of media, and music is no exception from this list. Now most of the people are only listening their favorite tracks using music streaming services without downloading it. Organizing and renaming the music collections based on title and genre are not easy when you have the huge database of Music files in your system. That’s why many people looking for the online music streaming services. But most of the services have come with price tag and restrictions in terms of limit to how many songs you can listen to, or the selection of music for free accounts. If you want to store your entire music collection on the cloud and want to listen for free then use Google Play Music. I used to hear a lot of music whether I wrote articles or developing WordPress Themes for my users. Here I have listed my favorite and the best free and most popular online Music streaming services for you. 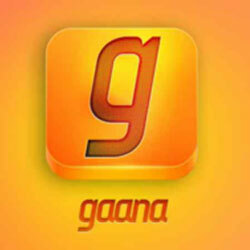 Gaana provides paid and free online music streaming service, especially for Indian users. The most of the music songs in their databases are from Indian artists and from Bollywood and Tamil movies. They have musics also from the Hollywood movies and artists from all over the world. Although this is one of the best free online music streaming service for India. Offers songs sections like Radio stations, Artists and mood. They have created the Radio stations for most famous artists like A.R Rehman, Shakira when you open the Radio stations it will play the songs continuously. 8 Tracks is an internet radio and social networking website revolving around the concept of streaming user-curated playlists consisting of at least 8 tracks. Here users can create playlist to listen songs and as well you can listen music from the playlist created by community members. You can create your own playlists by uploading mp3 and mp4 files. TheSixtyOne is the unique music streaming service. You have very little control over the playback. TheSixtyOne has been criticised by many people who have the new design with the emphasis on high-resolution photography, location, and lyrics. I used to have a lot of tabs open in my Google Chrome browser, Grooveshark or in.com tabs always there for me to listen music. Are you like me and which one is your Favorite music streaming service?